Smoked Salmon - 'How to' Guide - Let the Baking Begin! This Smoked Salmon-‘How to’ Guide is going to be your favorite smoked salmon recipe. A how to smoke salmon guide that makes a great smoked salmon fillet. Ever wonder what it takes to make Smoked Salmon? My husband bought a smoker a while ago and ever since we’ve been enjoying delicious homemade Smoked Salmon. 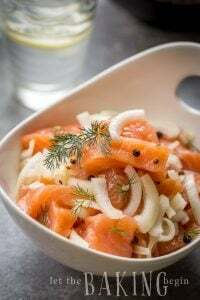 With my smoked salmon recipe, you can enjoy freshly smoked salmon at the comfort of your own home. The Smoker for Smoked Salmon Recipe? We have this Smoker and we are pretty happy with it. It’s not too expensive and easy to use. You can probably use any smoker, but the instructions below are for this particular one. My husband used to have a different smoker that had a dial to change temperatures, but he did not like that one as he couldn’t quite figure out what temperature is best for which cut of meat. What we like about the smoker we have right now is that you just plug it into the outlet and whatever the temperature it’s set at, is good for both meat and fish, producing perfect smoked products every time. When picking out salmon in the store, look for salmon fillets with more fat, as it makes for a more moist and delicious smoked salmon. 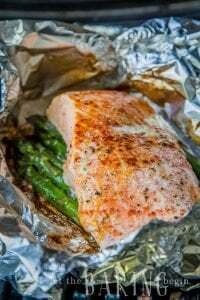 Also, look for salmon fillet with the skin on, since that will make drying the fish a lot easier and create a natural barrier that will keep the fish from sticking to the surface while it is being smoked. Both wild and farm-raised are good for smoking but do keep in mind that wild salmon tends to be on the drier side. How do you like to serve your Smoke Salmon? Smoked Salmon can be served as the main course if you use less salt for brining it. 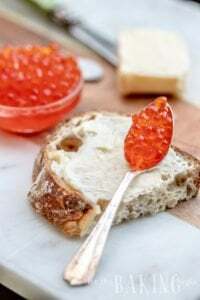 If you use the recipe below, I like it best atop of toasted bread with cream cheese and shaved onions. I guess I eat smoked salmon the same way you would eat Lox. Parmesan Crusted Salmon – Baked salmon with Parmesan! 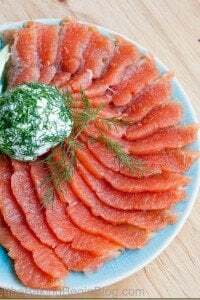 Aromatic Cured Salmon Recipe – Fish cured in a salty-sweet brine. Garlic Ginger Glazed Salmon – Salmon with homemade garlic ginger sauce. This Smoked Salmon-'How to' Guide recipe is going to be your new favorite smoked salmon recipe. A how to smoke salmon guide, to make the best-smoked salmon fillet. Rinse salmon fillet under water, pat dry with a paper towel. Make sure the salmon fillet is free from bones. Use sterilized pluckers to pick the bones out, if there are any. Cut the fish into even pieces (between 8 -16 oz each) - for faster curing & smoking, cut thicker part of the fillet into smaller pieces (about 3-4 inches in width for fillet closer to the head, and 5-6 inches width closer to the tail). Sprinkle salt, pepper and any other fish seasoning you like on both sides of the fish (fillet & skin side). Salt the fish as you would for roasting. Pan fry a small piece to check that there’s enough salt. Refrigerate for 24-48 hours, wrapped or in a closed container. Thread 3-4 pieces of fish on a skewer and hang between two raised pieces of wood (see picture for illustration), and set a baking dish underneath to catch any drippings. Set a fan in front of the fish, and blow dry it for 10-12 hours (preferably overnight, when the temperatures are lower), until the fish is dry to the touch and no longer sticky (this forms a pellicle film), this will help the smoke to adhere to the fish. Take the fish from the skewers and set it on the smoker racks, setting thicker fillets on the bottom racks and thinner (tail) on the top racks. Set the wood chips in the bowl, on the bottom of the smoker. Place the drip pan between the chips and the racks of fish. Close the smoker. Leave the fish to smoke for 5-6 hours, depending on the temperature outside. In the summer months, start checking for doneness after 5 hours. Change wood chips every 2 hours. Store refrigerated in a closed container for up to a week and a half, or vacuum seal and store for up to 2 months. Before putting the salmon in the smoker it needs to air dry until a pellicle film forms. Otherwise, you end up with pools of fat like the ones in the picture. Clearly, you don’t have a clue about smoking fish. I think this might help you. Set fan in front of the fish, and blow dry it for 10-12 hours (preferably overnight, when the temperatures are lower), until the fish is dry to the touch and no longer sticky, this will help the smoke to adhere to the fish. Just an FYI, the pellicle film is there to help the smoke adhere to the fish better, not to keep the fat inside. Also, the white stuff on the fish you referred to as “pools of fat” is actually albumin or the “fish juice” that contains fish protein, which coagulates when it rises to the top and hits the heat. Read the damn article!! It clearly says to let the fish sit, preferably over night, with a fan blowing on it in order to form a pellicle on the fish. Clearly, you can’t read very well. This may be a dumb question but what type of fan do you use? 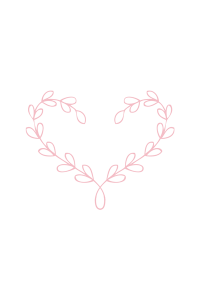 Like a hair blow dryer or a regular fan because you say blow dry until its dry so just want to clarify…. Thanks for the idea! 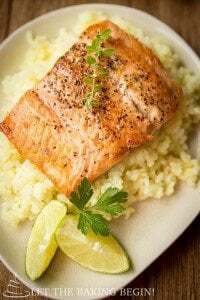 Unfortunately, my husband does not like savory foods with sugar that’s why I did not add any, but I like the idea of brown sugar, it definitely would put the salmon into the gourmet category! My goodness that looks incredible. I love the photo with the fork in it and the herbs over the top. Beautiful! Makes me wish I had a smoker!